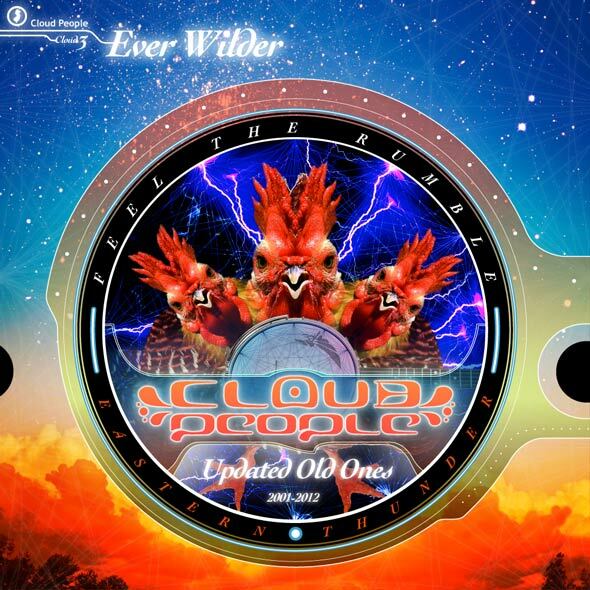 Cloud People | Cloud People "Ever Wilder"
Ever Wilder by Cloud People On a bright summer day in 2001, Evan Wilder went dumpster diving at a construction site in Shamong, NJ. There he found a collection of discarded country records. He took them back to the studio to scour the grooves with Tru-Ade's Technics 1200. The sunniest bits were salvaged and dubbed out. Sam Moskalik came in with his conga and djembe and added some bone-shaking rhythm power where he saw fit. These tracks would later be used in live Cloud People shows over the years. In 2011, Evan revisited some of the tracks by adding new synth lines, new guitars, vocals, improving the mix, and trying out some new tricks, to keep the tracks, well, ever wilder. Conga and djembe by Sam Moskalik. Synths, samples, acoustic guitar, drum kit, occasional vocals, mix & production by Evan Wilder. Vocals, thunder and knowledge by Tercluckius. Guidance and delays by Cloud People.